Hello! did you miss me? I am sorry I didn't have a post for you last week. 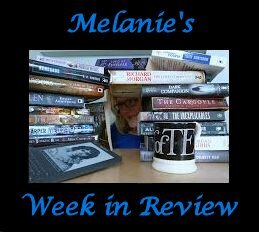 I didn't have enough read to tell you about so you got to enjoy (I hope) my review of Lost Causes by Mia Marshall instead. I had hoped to have read a big bunch of great books so I am sorry to disappoint with only two books one of which is a hit and the other a miss. So what did I read? 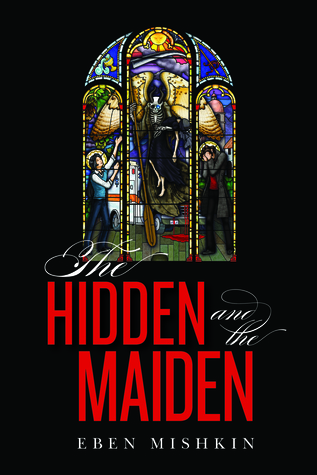 I have had The Hidden and the Maiden by Eben Mishkin on my NetGalley TBR shelf for months. I try to prioritize my NetGalley books but sometimes they don't always end at the top of my list. I actually started Mishkin's debut novel a couple of times before I decided to just get on with it and get it read. Mishkin tells the story of James, a failed sorcerer with a bad attitude and the rather more wimpy, medium Zephyr. The unlikely pair team up to stop the former cop, now conman Kenton Dean who has control of the god of death aka the grim reaper. Dean just needs the magical Helena (the Maiden) to finish off his master plan but James and Zephyr are determined he won't succeed. Its now up to this unlikely pair to work together to save the day and The Maiden. I have to say I really struggled with this book. In fact I spent the first third and the last quarter having no idea what was going on. The scenes with Zephyr and the ghost of his mother were extremely confusing at first and turned into something that I can only describe as unsavory. I don't think I would have figured out that James was a failed sorcerer without referring back to the book summary on Goodreads. Mishkin has an amazing imagination and I have to applaud his attempt to create interesting characters and a tangled, twisted plot full of folklore and mystery. However, to really have kept my interest Mishkin needed to dial down the crazy and develop his characters a lot more. For those of you who read reviews on Goodreads Mishkin's novel got a very high rating despite a number of reviewers saying they were also confused. Personally, if I struggle with a book it isn't going to get 5 stars from me. The second book I read was another book on my NetGalley shelf - Made to Kill by Adam Christopher. This is a classic noir private investigator mystery with a twist. 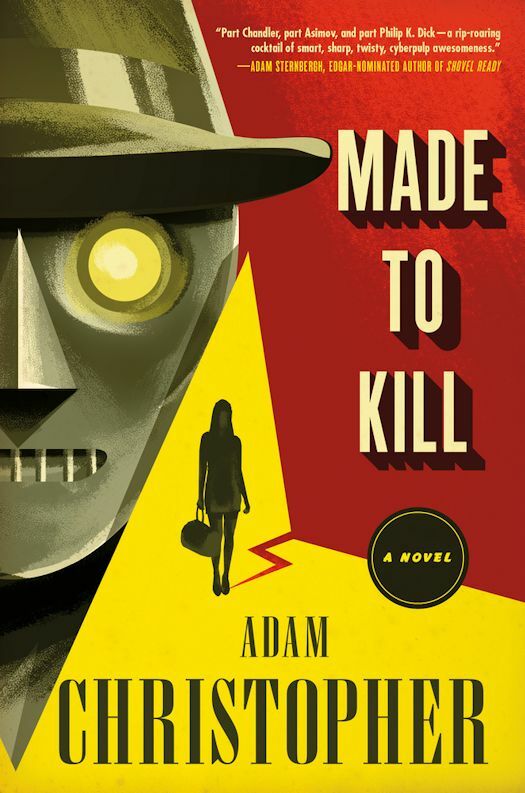 In Made to Kill the PI is a robot, the last robot - Raymond Electromatic. When a young woman comes into Raymond's office with a bag full of gold asking him to find a missing actor it's an offer he can't refuse. Raymond finds himself in the midst of some of the biggest Hollywood stars and a plot so sinister that even this bullet proof PI might not survive unscathed. I really enjoyed Made to Kill. It is a quick and easy read with a plot that kept me guessing. Raymond is a great lead character and the fact that Raymond's secretary is a super computer made the whole story that much more fun. I would definitely recommend this book to anyone who likes a good mystery and an even better anti-hero. That is it for me this week. I hope to be a bit more productive next week next week but until then Happy Reading. 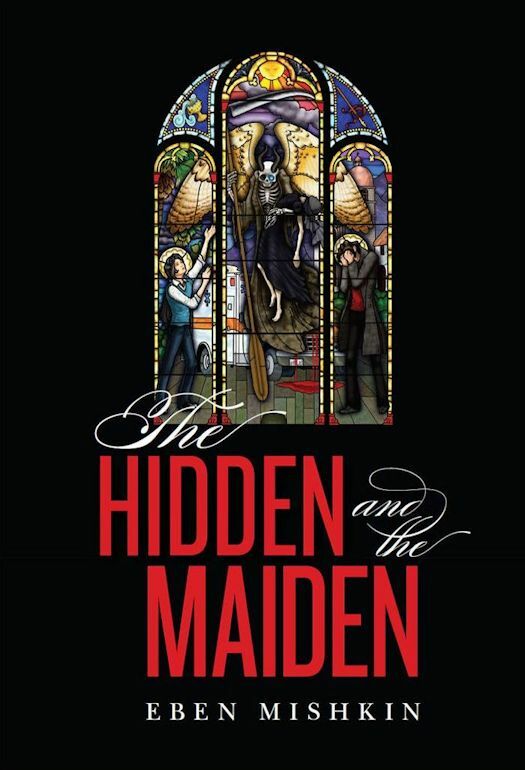 A wizard’s failed apprentice and a self-doubting medium embark on a race against time in Eben Mishkin’s fantastical debut, The Hidden and the Maiden. The unsociable James Rathbone, once student to the last wizard, is forced into action when his dead master's secret elixir is stolen. Con artist Kenton Dean uses the elixir to release the fallen god of death. He needs just one more thing for his plans to work: Helena Lawson, an heiress who holds unfathomable magical potential. James sets off on a dangerous mission to rescue Helena and stop Kenton, but he cannot do it alone. Much to his chagrin, James must team up with Zephyr Wayne, a neurotic medium who’s convinced his powers are nothing more than the manifestation of his own psychosis. As the only humans capable of seeing the threat, James and Zephyr must band together to save the world as they know it. But can James finally get his magic to work? And will Zephyr’s self-doubt ever allow him to unleash his full potential? An absorbing blend of horror, fantasy, and real-world drama, The Hidden and the Maiden will leave readers guessing until the very last page.